Ronan Friel a transition year student at Loreto Community School, in Milford is an acclaimed singer and songwriter and as part of the TY mini company programme in the school he has launched a CD featuring himself and Niall Brennan on vocals. The CD features four original songs written by Ronan and two covers. The mini company, made up of Ronan Friel, Cahir O Connor, Deirdre Mc Daid and Elliot Herraghty, put together the plans that have led to the launch of this album. The company investigated possibilities to record and publish the CD, finally settling on an online company to provide the service. With considerable investment from the four shareholders, the focus then shifted to marketing the album with the help of social media and the local press. An exciting vibe has been created from the Facebook, Snapchat and Twitter pages which have had a lot of hits. 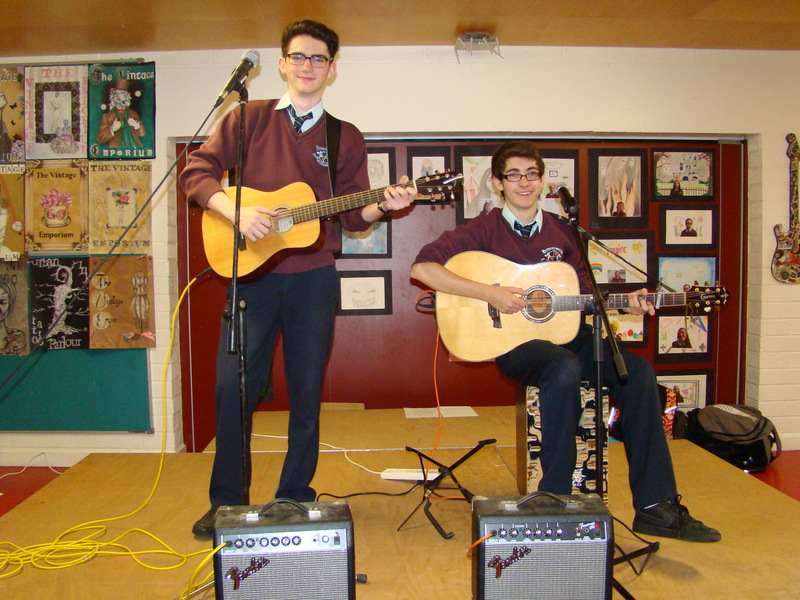 The buzz has also been transferred to the school which hosted a launch day on Tuesday 21st of October, with all classes in the school being treated to a preview of the album in the school canteen. Feedback has been very positive and many pre orders have been placed. The official launch takes place in the Greenroom venue, Letterkenny on Thursday 30th October at 7pm where the album will be available to purchase during and after the gig. The CD is reasonably priced at €7.00 with 50 cent of each sale going to the Donegal Hospice.